As familiar with morning glories as folks are in North America, these fascinating flowers hold many secrets for the casual gardener. Their seeds are simultaneously hallucinogenic and poisonous. Unlock their secrets and learn how to grow them for classic summertime color. Morning glories are annual vines. These twining climbers accomplish their ascent by winding their way skyward upon whatever support they can find. They belong to the Convolvulaceae family, a word that comes from the Latin, convolvere, meaning "to wind." Bindweed, a twining, weedy vine that bedevils gardeners by winding around everything in sight, is a relative. Plant taxonomy classifies one of the most popular morning glory flowers as Ipomoea tricolor Heavenly Blue. The cultivar name befits this vine of sky-blue flowers. There is a good chance that Heavenly Blue is the flowering vine you immediately think of when you hear "morning glories." 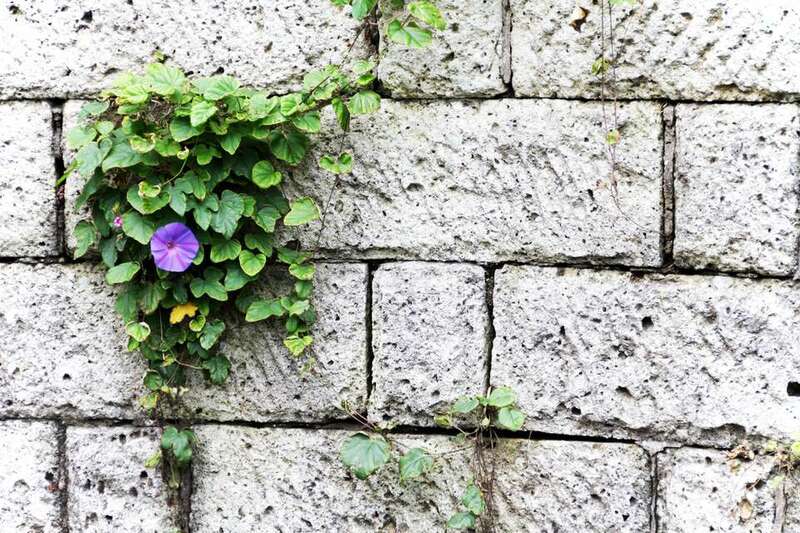 But other types (in other colors) do exist, including vines with purple flowers. An example of the latter is Ipomoea purpurea Kniola's Black. Flowers last only a day. True to their name, the flowers open in the morning then pucker up later in the day. Vine length averages about 10 feet, and morning glory leaves are heart-shaped. The vines may reseed. Ipomoea tricolor is indigenous to tropical regions (zones 9 to 11) of the Americas. But these tropical flowers have long graced summer landscapes in cooler areas. Morning glory is the first vine to which many children in North America are introduced. No doubt, the chief selling point of Heavenly Blue is the beauty of its numerous flowers. Bell-shaped, the flowers are a striking sky-blue with lighter centers. Grow morning glories in full sun and in well-drained soil. The vines tolerate poor soil. They have average water needs. Morning glories can be used to attract butterflies and draw hummingbirds. A popular use for morning glory vines is as a privacy screen when grown upon lattice or chain-link fencing. It is also common to see morning glory vines growing on trellises and arbors. If you can get them to cover an arbor completely, they will offer shade in late summer. These vines are often grown in containers, as are various other kinds of Ipomoea. Morning glory, famous or infamous for its hallucinogenic seeds, is also considered a poisonous plant due to the toxic nature of those very same seeds; keep children away from it. Ipomoea tricolor is not the only kind of morning glory with poisonous seeds known to have psychoactive properties. Another is Turbina corymbosa. Both types, used in religious rituals by the Aztecs to induce visions, contain an LSD-like alkaloid called LSA. Although it is illegal (in the U.S.) and dangerous to do so, even today some people chew morning glory seeds to experience the hallucinations that they induce. Morning glory vines do not need much care. In fact, other than providing them with water, the main thing to remember is what not to do: Fertilizing with a high-nitrogen fertilizer will cause your plants to grow mostly leaves and produce few flowers. Nitrogen is the first number in the NPK sequence on the label of a fertilizer bag. Spider mites and deer pest can pose problems for your morning glories. When you detect the former, spray with organic Neem oil. To deal with the latter in a region heavily infested with deer, erect deer fencing or apply deer repellents. Morning glories are considered fast-growing vines, but they can take a long time to flower (August, in the North) if not grown under ideal circumstances. You can encourage earlier blooming by starting morning glory plants inside from seed in peat pots filled with potting mix, then transplanting them outside after all danger of frost has passed. Keep seeds damp for 24 hours before planting. Lightly scar the surface of the seeds. Plant seeds a bit less than 1/2 inch deep and cover them with potting mix. Keep potting mix damp and warm (at least 70 degrees Fahrenheit). If these sun-loving vines are started from seed indoors and given plenty of sunlight (southern or western exposure) and adequate water once planted outdoors, even in the North they should bloom by early July. Sunburst Honey Locust: No Messy Pods! Is a Dinner Plate Hibiscus on Your Yard's Summer Menu?